Trust the tried and true hybrid that’s withstood the test of time by choosing the new Toyota Prius. This year’s car boasts a unique exterior makeover with striking features and more tech than ever before. 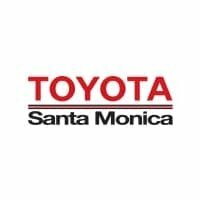 At Toyota Santa Monica, we believe in the reliability of Toyota and the eco-friendly operation of hybrid cars, making the Toyota Prius the perfect choice. Schedule an appointment for a test drive by calling us at 424-291-4577 so we can show you all of the available models and crunch the numbers for affordable financing.